I've just got back from a run, which was down in my training as a training run, which has now been changed to a memorial run for a toddler named Luca. 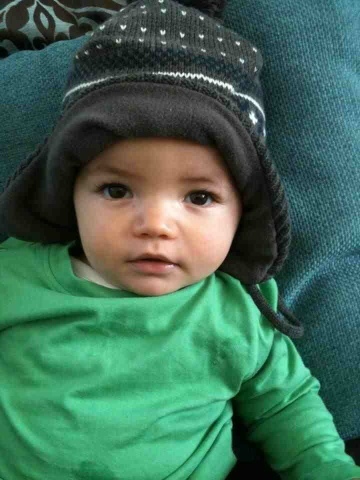 Luca had Tay Sachs, a progressive neurological genetic disorder. In a short a cell malfunction which causes it to die. The disease eventually took its toll on poor Luca who was only two. I was made aware of this disease, when I was asked to take up the CATS 10K Challenge. Basically a challenge to run 10k on my own or an organised race. The charity ask for a small donation and for you to pick a day on there calendar to run. Hoping then that somebody runs every day for a year. My run was originally back in November. But after the passing of poor Luca, we were asked to run again today in his honour. Why today? Today was the day that Lucas mum ran her 10k. This was also the day one year ago that Luca was diagnosed with Tay Sachs. So we were honouring Luca and supporting his mum in this sad time. If you are reading this and want to help out, please see the website above. So I donned my Cats 10k vest and headed out! 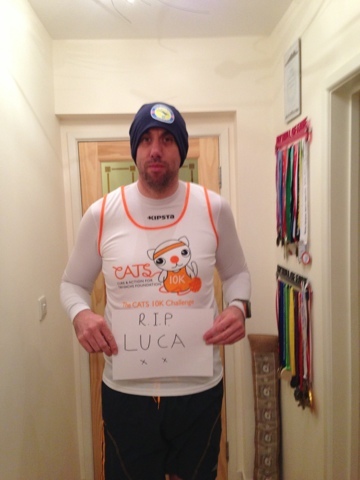 A chilly night, but I ran 7.8miles which I shall dedicate to Luca!